Floyd 911 is a group of 31 individuals that come together as a family to serve their community as if they were helping one of their own. 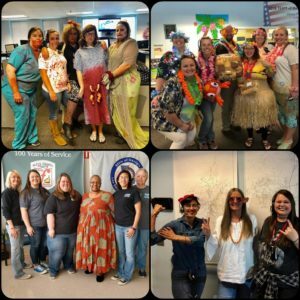 These dispatchers have a love for their job and truly go above and beyond every single day. They are working week after week of OT to ensure that there is coverage in the center, while allowing their co-workers to take well deserved vacations and even weddings. They deserve to be rewarded for never giving up and always doing what’s best for each other and their home town.